a gorgeous Cavapoo girl born November 26th. Based on her 45 pound Standard Poodle mom (Rose) and 20 pound Cavapoo dad (Woofy), we expect Garnett to be 27-37 pounds. We believe that she will make outstanding family member to a very fortunate forever home. 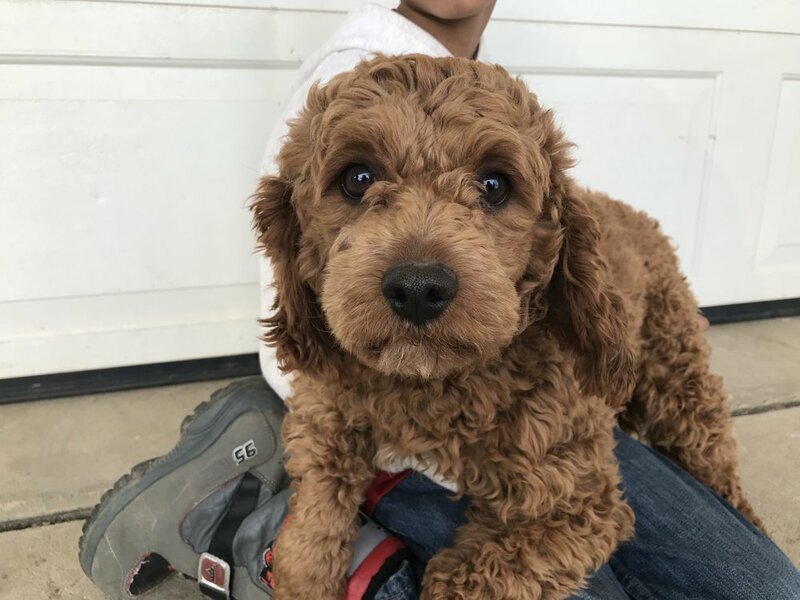 Garnett is an adorable red and white Cavapoo girl with a sweet and winsome personality. We love playing with her and scooping her up for a snuggle and we know you will too! She is a very affectionate puppy who we think will adjust well to any forever home. We are confident that Garnett will be an excellent furry family member!